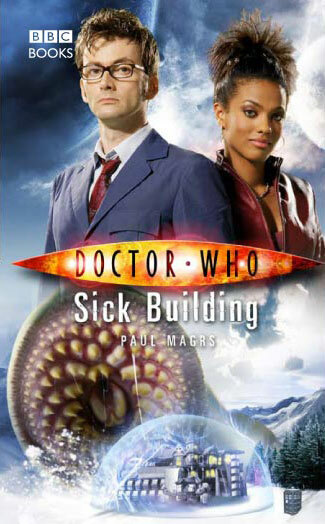 We bought this book from Amazon to get our Martha Jones fix. I read this book in one day, I guess I was really in the mood for Doctor Who and Martha. It features David Tennant as the 10th Doctor and Freema Agyeman as Martha Jones. This is not a deep book diving into the characters and exposing their souls, it is full of action, angry computer intelligence run amok, and running, a lot of running. People are people, even if they do dispense soggy crisps or their lights flicker and spark. I rate this book a 7 out of 10 and recommend it to all Doctor Who fans. The cover of this book does not represent the story very well at all. I have loved every book written by Terry Pratchett that I have read and “I Shall Wear Midnight” is no exception. I read the hardback version of this book. This is the 4th Tiffany Aching book, which is preceded by “The Wee Free Men”, “A Hat Full of Sky”, and “Wintersmith”, all great books. The story did not initially grab me the way many Discworld books do, but it builds momentum as it goes and has a fantastic ending. Chilling drama combines with laugh out-loud humor and searing insight as beloved and bestselling author Terry Pratchett tells the high-stakes story of a young witch who stands in the gap between good and evil. I rate this book a 9 out of 10 and recommend anyone who loves humorous fiction read any and all of the Discworld novels. I read this book using Safari Books Online. Note that Mr. Schwertly does have something to sell with this book. He is founder of Ethos3 under which he provides presentation training and design services. My goal when I started reading this book was to improve my ability to reach people through traditional slide presentations. I had recently given a presentation to a room fool of people and felt that I could have done better. Just a couple of pages into “How to be a Presentation God” Scott Schwertly changed my goals. Now I want to change lives by helping people find their own excellence. The goal of my presentations may not change, I am still selling a service, but now I want to bring my presentation to a whole new level that transcends the sale. I am not totally sure what that means right now, but I plan on having fun figuring it out. How can I help the audience? How can I meet their greatest needs and desires? Creativity is about solving a problem while execution is about implementation. Failure is not permanent, be ready to fail. Simplicity is king. The message should be inspirational to the catatonic; understandable to the dumb; legible to the illiterate; and logical to the crazy. As a presenter you have a certain amount of authority solely because you are the only one allowed to speak. To be remembered do the unexpected and don’t be normal. Do and be. Do everything right, and be absolutely incredible. Focus on the little things that make us big things. Nothing is accomplished without ﬁrst accomplishing simple, everyday tasks. Learn how to build, design, and deliver a fire-breathing, wing-flapping, roar-bellowing behemoth of a presentation. By providing entertaining and clever presentation insights, veteran presenter Scott Schwertly gives you the in’s and out’s for presenting yourself, your business, and your cause with an easy-to-implement approach. I rate this book a 9 out of 10 and recommend it to anyone who has a need to give presentations and change the world. Rory finally gets a time to shine. I read this book while on vacation and it was a great read. It was a very fast and funny read while adding depth to Rory and Amy’s love for him. I rate this book an 8 out of 10 and recommend it for all Doctor Who fans.